Clare Pollard was born in Bolton in 1978 and currently lives in South London with her husband and two children. Her first collection of poetry, The Heavy-Petting Zoo (1998) was written whilst she was still at school, and received an Eric Gregory Award. It was followed by Bedtime (2002) and Look, Clare! Look! (2005), which was made a set text on the WJEC A-level syllabus. Her fourth collection Changeling (2011) was a Poetry Book Society Recommendation, and her latest is Incarnation (Bloodaxe, 2017). In 2003 she won a Society of Authors travel award and an Arts Council writer’s award. The Independent named her one of their Top Writers Under 30. Clare’s first play The Weather (Faber, 2004) premiered at the Royal Court Theatre, and has since been performed at the Munchner Kammerspiele in Munich. In 2012 she co-wrote the radio play Surface to Air with WN Herbert for BBC Radio 4. She has toured widely with the British Council, including a residency in Beijing, and been involved in numerous translation projects, including co-translating The Sea-Migrations by Asha Lul Mohamud Yusuf (Bloodaxe, 2017) which received a PEN Translates award. 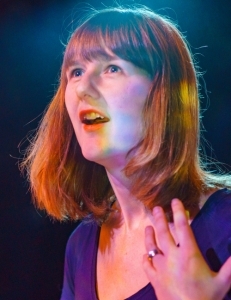 Clare has also translated Ovid’s Heroines (Bloodaxe, 2013), which she toured as a one-woman show with Jaybird Live Literature. Clare supports herself by working as an editor, journalist and teacher. She is the new editor of Modern Poetry in Translation, co-founded by Ted Hughes, and poetry editor for The Idler. Clare has also co-edited an anthology for Bloodaxe with James Byrne, entitled Voice Recognition: 21 Poets for the 21stsCentury, edited two issues of Magma poetry magazine and co-edited an issue of The Butcher’s Dog. She has recently been a judge for the PBS Next Generation list, Popescu European Poetry Translation Prize, Manchester International Poetry Prize and Northern Writer’s Awards. Her articles and reviews have been published in The Guardian, The Independent, The TES, Critical Quarterly, Poetry London, Poetry Review and The Dark Horse. As well as appearances on The Verb, Woman’s Hour, Poetry Please and Newsnight Review, she has written and presented two documentaries for television and one for radio, ‘My Male Muse’ (2007), which was a Radio 4 Pick of the Year. Clare is a Royal Literary Fellow at Essex University and mentors for New Writing North.